We offer our clients an extensive range of Industrial Levers and their sub assemblies such as lock system lever, Hydraulic lift system as per the client specifications and requirements. 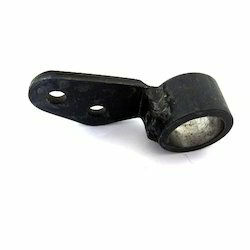 Used in various industries, our range of Industrial Levers is designed using quality raw material. Industrial Levers are available for Jaw Cylinder & Cutting Cylinder for Shaft and cam on off operation. Other levers for Ink & Damp. On-off are also available in OEM standard material. 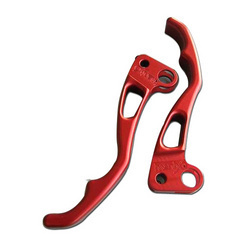 We are a reputed company in the industry engaged in offering an ample range of Mechanical Levers. These are highly reckoned for their fine functioning and are user friendly in nature. Offered products are durable and are used in many industries also. In addition, these have smooth finishing and are anti corrosive in nature. Our company manufactures highly functional and durable Levers that are made by using superior grade basic material like stainless steel, aluminum etc. The expertise of our engineers enables us to offer these levers in a variety of dimensions and other specifications as per the needs of our clients. We are looking queries from Pune. We offer our clients an extensive range of Industrial Levers as per the client specifications and requirements. Used in various industries, our range is designed using quality raw material.